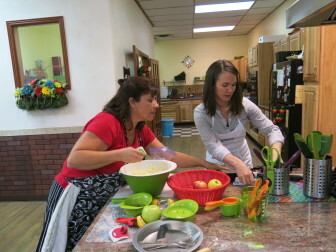 Kathy Guler owns Foodies Culinary Academy in Fort Collins, Colo.
Kathy Guler owns Foodies Culinary Academy in Fort Collins, Colo. “You can buy a frozen pie and if you never made a pie you might not even know that there is a dramatic difference between fresh ingredients and the labor, the love that goes into it,” Guler said. 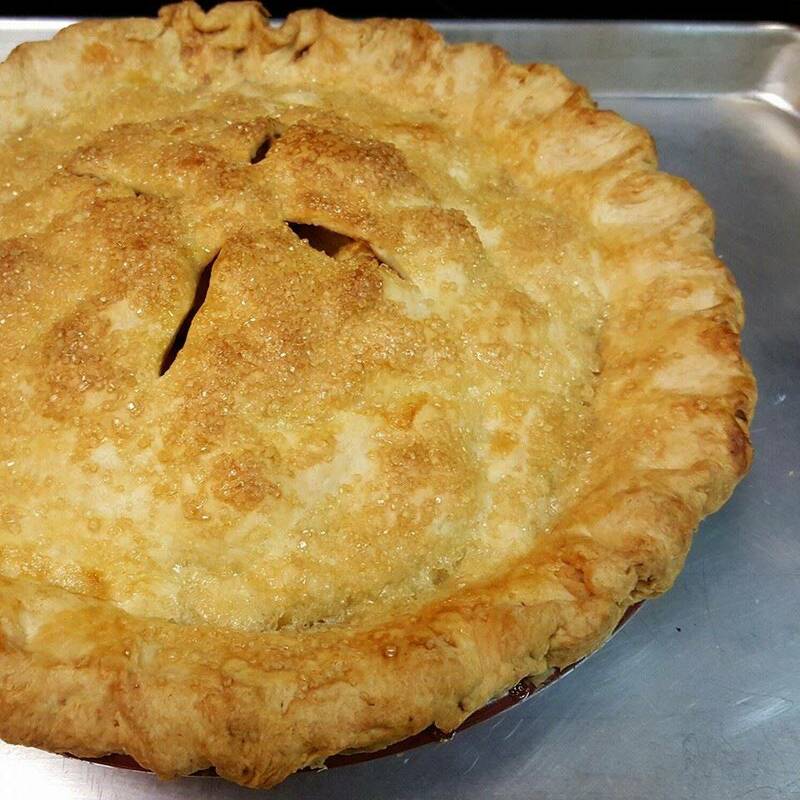 Chef Kathy Guler says keeping the ingredients cold is key to a successful pie crust. These days, we are spending a lot less time in the kitchen. According to the Bureau of Labor Statistics, in 2014, we spent just 35 minutes on food preparation and clean-up. Thirty-five minutes! That’s compared to about 50 minutes just a few decades earlier. To save time, we’re buying things like frozen pie crusts and other pre-made foods that are processed by machines and then brought home from the store. 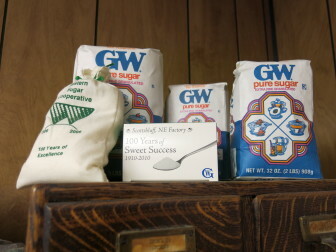 Sugar made at the Western Sugar Cooperative factory is shipped and packaged all over the country. ugar made at the Western Sugar Cooperative factory is shipped and packaged all over the country. I took her advice and headed north to Lovell, Wyo., to check out a factory that makes something you probably eat every single day: white sugar. “So right now we’re up to 120 tons per hour, of beets. That’s how much we’re cutting,” said Shannon Ellis, factory manager at the Western Sugar Cooperative. 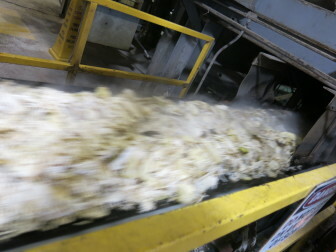 Processing these French fry shaped sugar beets into actual sugar takes a lot of energy. A full 32 percent of the factory’s monthly costs go to natural gas, around 12 percent to electricity, and 6 percent for coal to operate the factory’s lime kiln. Sugar beets are sliced into waffle-fry shaped cosettes for processing. Check out Inside Energy’s entire Feasting On Fuel series here. How much energy does it take to make your food? Take the quiz! How exactly do sugar beets make your coffee sweet? Western Sugar Cooperative explains.